Quantum entanglement, a decidedly weird effect influencing the realm of the incredibly small, may apply to the “real world” but that doesn’t mean it’s easy to see. After all, we're talking about individual pairs of particles here. Now, two new papers – both published this week in Nature – describe how we’re now able to see the phenomenon play out in unprecedented detail within microscopic structures, meaning you can almost see the entangled objects with your own eyes. This isn’t the first time this has been achieved, though: In 2011, using a pair of visible diamonds, the vibrational states of both were shown to match in a state of quantum entanglement. Also, back in 2009, scientists used tiny, but macroscopic, superconductors to see the effects of quantum entanglement with the naked eye too. In any case, both of these pieces of research (one led by the University of Vienna and the Delft University of Technology, the other by Finland’s Aalto University) represent an exciting step forward for the field. 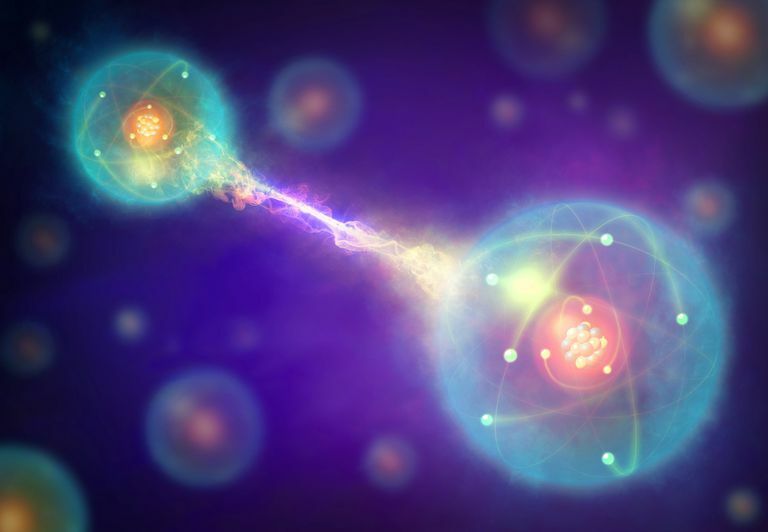 Using two different methods, the teams managed to get two types of bespoke, unconnected, microscopically-sized oscillators – devices that generate periodically changing electrical current – to demonstrate quantum entanglement. The latter group used microwaves to force two aluminum oscillators into a single quantum state; the former used lasers to do the same to wibbly silicon segments. For those understandably a bit lost at this point, here is a little primer as to what the phenomenon actually is. 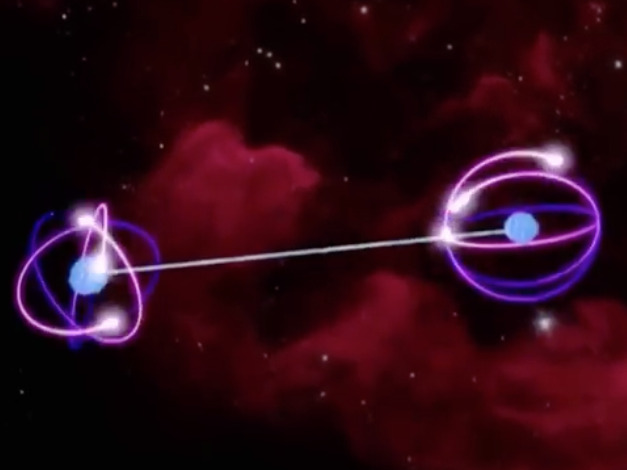 Sometimes, two particles that are separated by a huge distance can act as if they’re a pair. 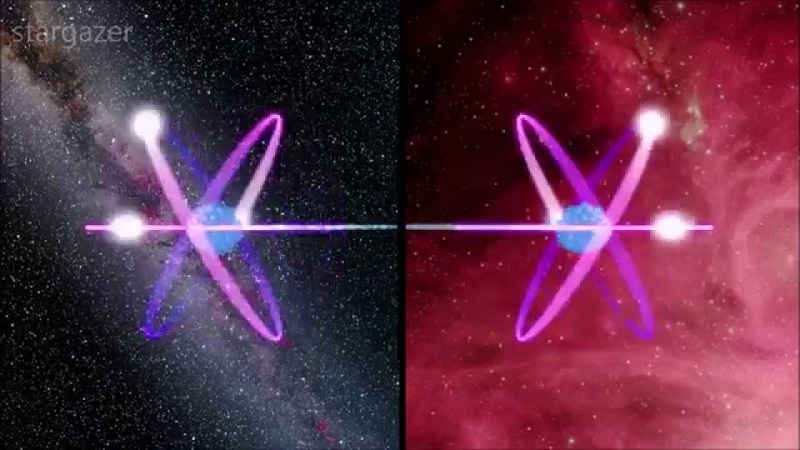 Their behaviors mirror each other instantaneously, and despite having no clear physical connection, they behave as a single particle, or a single system. Fundamental particles have a property called “spin”, which isn’t literally them spinning, but it does describe some of their properties. As beautifully explained by Veritasium, when we measure particle spin, we influence the orientation of this spin. Now, if you have two particles that are paired up, and you measure the spin of both, you will find that they both have the opposite spin orientation to the other. This means that, if you just measure one particle, you know what the spin of the other will be – because, as it happens, they are entangled. Whatever the random spin orientation of one particle, the other one in the pair shows the “opposite” random spin. Whether they are a nanometer apart or half the galaxy apart, this holds true, and it happens because the universe must preserve its overall angular momentum. Einstein, who famously disliked the theory, skeptically referred to it as “spooky action at a distance”. Practically, this means that we can make super-secure communications networks composed of paired particles, with no "real", hackable line of communication between the two. Indeed, that’s what China, in particular, is investing heavily in right now. In order to set these quantum communication networks up, we need the technological architecture to build them in the first place. That’s where the Vienna-led paper comes in, whose team explains that its work, in conjunction with others, may “provide a backbone for a future quantum internet based on superconducting quantum computers”. The Aalto-led paper notes that their work, at present, will establish "a new regime for experimental quantum mechanics”, useful for understanding the weird world of the (normally) incredibly small even more. Saying that, the use of their components in the construction of a quantum internet is possible, "even quite likely," according to Sillanpää.